Foreign nationals account for about 10 percent of the population of Britain, according to new figures. Immigration offences linked to the mass movement of people continue to preoccupy British law enforcement agencies. According to the Organization for Economic Cooperation and Development (OECD), more than 5.95 million foreigners are living in the UK, an increase on the 5.6 million recorded in 2016. The number of immigrants living in Britain has almost doubled since eight Eastern European countries joined the EU in 2004. In that year, foreign nationals constituted roughly 5 percent of the population in the UK, as compared to 9.2 percent in 2017. The record numbers come despite Prime Minister Theresa May’s promise to cut net migration to less than 100,000 persons per year. However in 2015, when May was home secretary, responsible for controlling the flow of immigrants to the UK, more than 189,000 foreign citizens from non-EU countries as well as 184,000 EU passport-holders migrated to Britain. About two-thirds of all EU immigrants in that year came from the EU’s Eastern European countries. Bulgarian and Romanian nationals accounted for more than 58,000, compared to 80,000 from other, longer-established EU members. In 2015, there were 916,000 Poles in Britain. They are followed in order of scale by 362,000 Indian nationals and 332,000 Irish citizens. 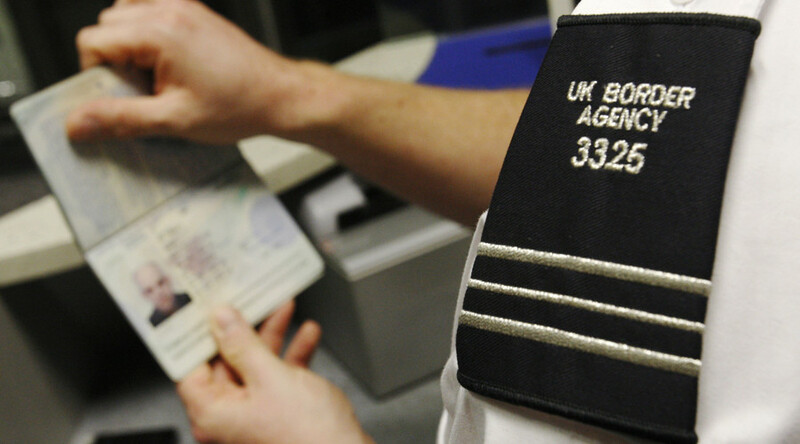 Although the vast majority of immigrants arrive in the UK lawfully, migration-related crime continues to be an important challenge for the British law enforcement authorities. In 2016, some 65,154 foreign nationals were convicted of various violations of migration laws. Of these, 28,064 unlawfully overstayed their visit to the UK, 5,410 entered into sham marriages, 3,439 came to Britain on forged passports and asylum applications, and 3,178 deliberately concealed certain information on their immigration application.